Terpene Tonic launches today! CannaSol Farms and Olala brainchild! The Terpene Tonics combine full-profile, single-batch cannabis terpenes with sparkling water and THC. Olala’s Terpene Tonics are refreshing, sugar-free, sparkling waters. 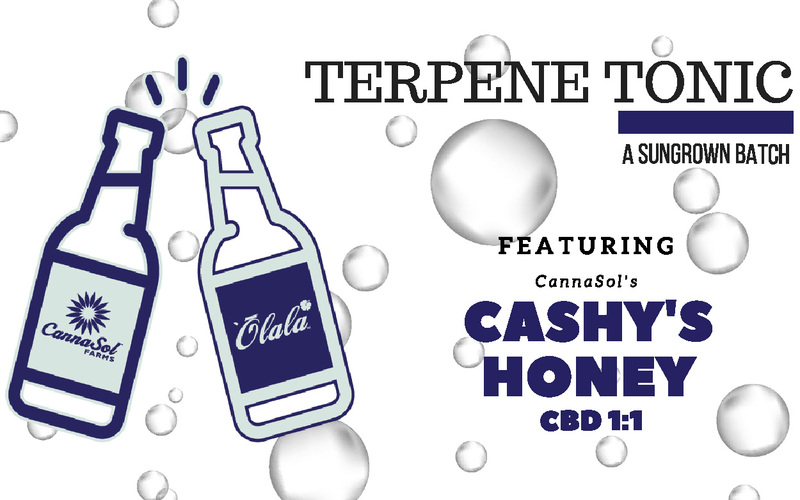 We’re most proud of our Cashy’s Honey CBD Tonic. It has a unique blend of terpenes with as much as 20 mgs of CBD combined with 10 mgs of THC in every bottle. The Cashy’s Terpene Tonic will help you relax any time, any place. At 8PM, we are hosting an after party in Fairhaven. There will be food, live music and goodies from both brands. Hit us up for more details. See you there!